Almost 98,000 foreign immigrants sought refuge in North America in 2012. Legal immigrants running away from other nations, because of persecution, seek refuge in Europe, parts of Asia, and especially in America. 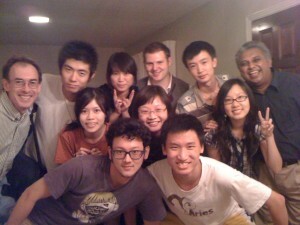 Refugee International Student Evangelism Network (R.I.S.E.N.) is a multicultural ministry. Bro. 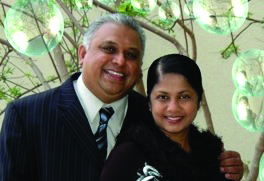 Marshall Xavier and his wife, Vani, founded the ministry and serve as UPCI National Coordinators. They attend the Pentecostals of Alexandria in Alexandria, Louisiana, pastored by Bro. Anthony Mangun. “I am the Prayer Coordinator and Professional Counselor at the Pentecostals of Alexandria,” said Sis. Xavier. “I’m also actively involved in the teaching/discipleship ministries of the church. 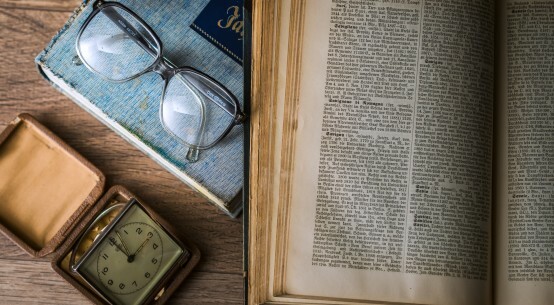 I travel extensively as a conference speaker and have a Master’s degree in Christian Counseling, providing counseling services inside and outside the church.” Before they migrated to America 16 years ago, the Xaviers pastored and planted multicultural churches in Asia and the Pacific region. Their continued burden for refugees led them to create the R.I.S.E.N. Ministry by visiting areas of Alexandria where multicultural people might live. Those desiring to donate to the R.I.S.E.N. Ministry should contact Sis. Xavier by email at vanimarshall@aol.com or phone 318-787-7438 for a form to go through their PIM account with UPCI. Information on the R.I.S.E.N. Ministry is available through www.risenmcm.com.